Sidmouth Electrical - NICEIC Approved Domestic Installers. Fully qualified electrician to 17th edition wiring regulations (BS7671) with over 25 year experience in the trade. 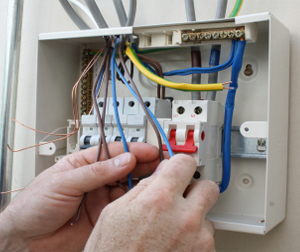 We offer a wide range of electrical services in and around Sidmouth, Sidbury and East Devon. We are fully approachable and competitively priced and offer our services to both domestic and commercial clients alike. Visit our website at www.sidmouthelectrical.co.uk for more details.